Hey guys! It’s Aki again from Minted Strawberry. February is upon us and that means it’s Valentines season! I just love all the hearts and the love floating around, and of course, it had to be reflected in my planner. 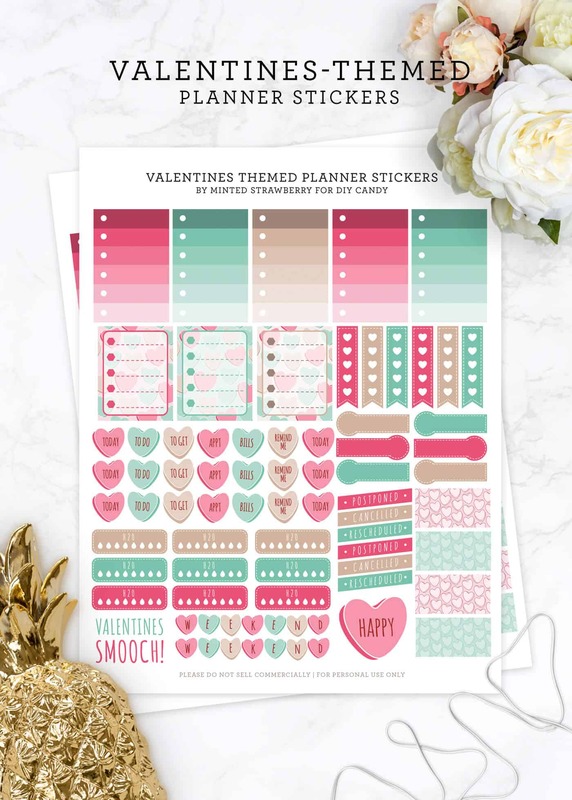 I designed these Valentines-themed stickers for planners – this printable is jam-packed with a bunch of useful labels, boxes and cute hearts. 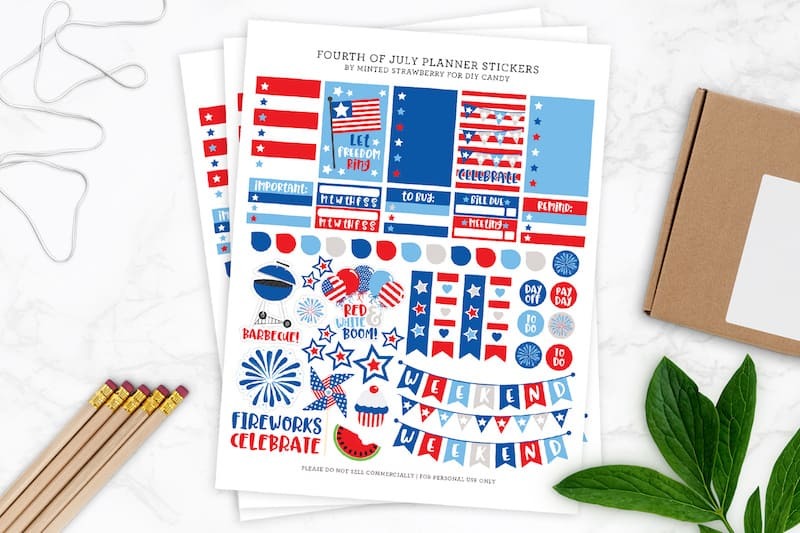 Complete with checklist boxes, flags, words and even water tracking stickers, I’m pretty sure you’ll find a useful sticker in this collection. 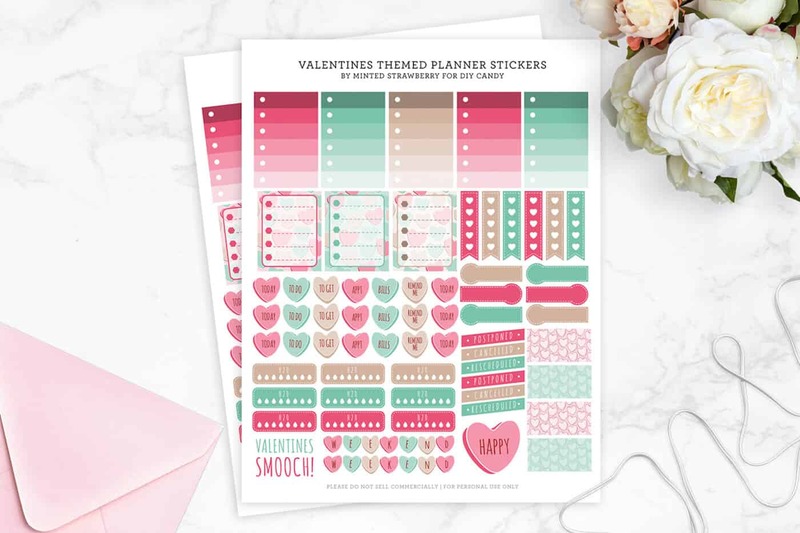 I really love the conversation heart titles – they’re so cute! Don’t you? 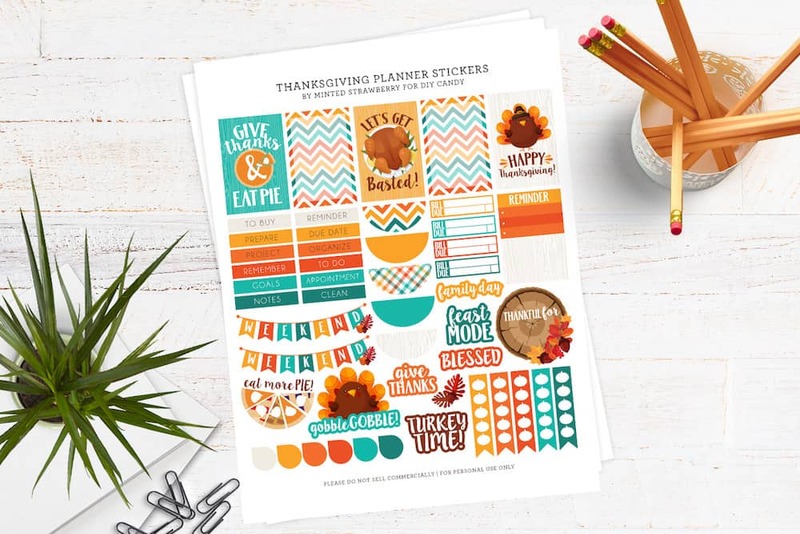 Download the stickers for planners here and print them on a full-sized sticker sheet and use scissors or your cutting machine to cut them out to make them easier for yourself. 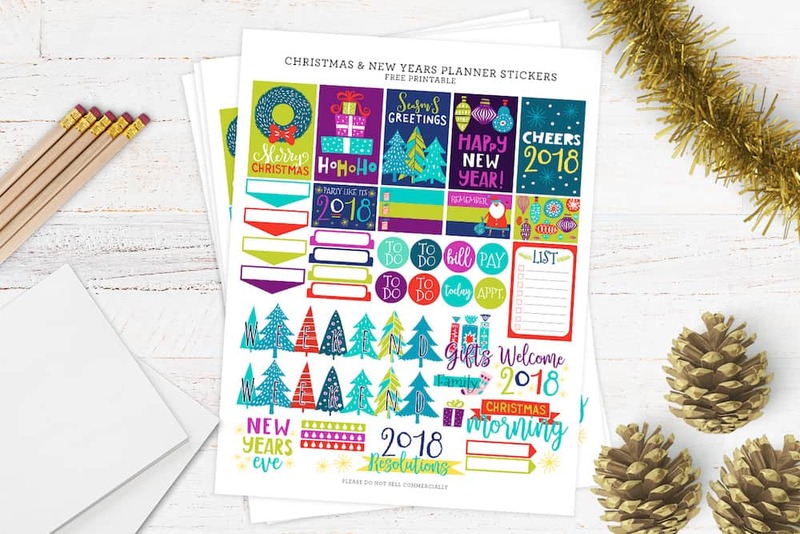 Use them on your Happy Planner or any compatible planner, or even your bullet journal! Do you have any Valentines Day plans? 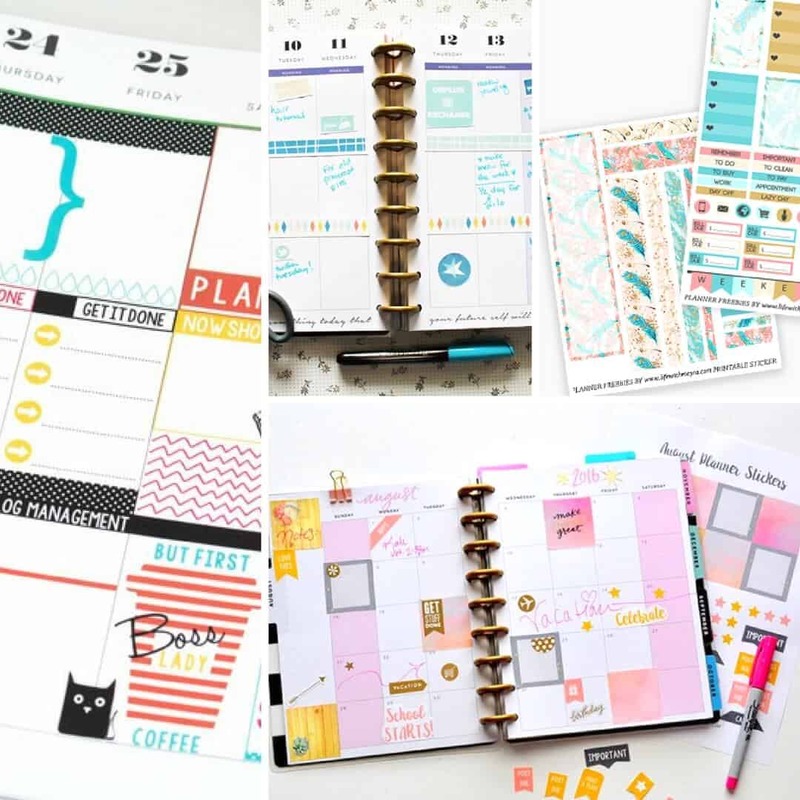 Don’t forget to follow me on my blog and other social media for other freebies and DIY ideas! 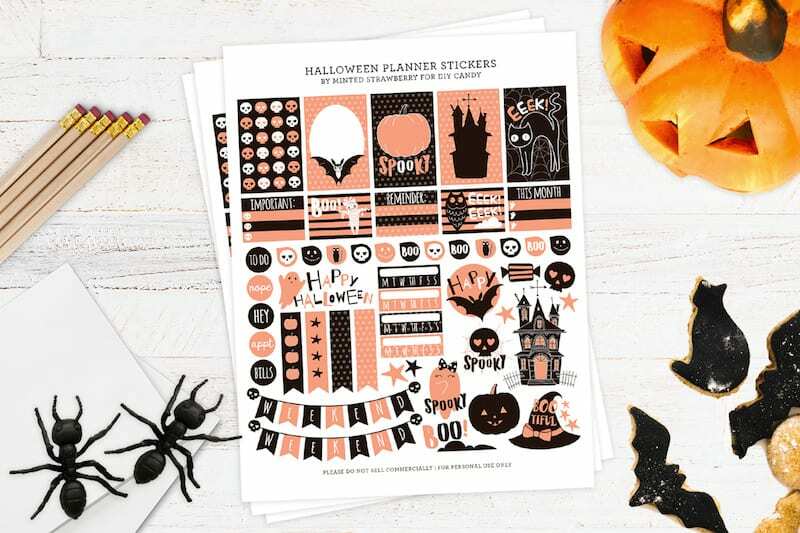 Happy planning, lovelies!